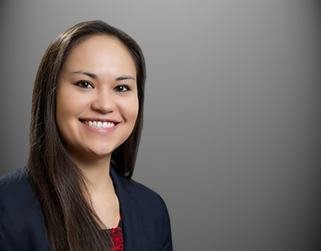 Kendri M. M. Cesar (Central Council of the Tlingit and Haida Indian Tribes of Alaska) joined the firm’s Juneau office in 2013, and became a partner in 2017. Ms. Cesar works in all areas of the firm’s practice. Ms. Cesar graduated from Harvard Law School in 2012, where she was involved in the Harvard Native American Law Students Association as well as several programs focusing on criminal justice, including the Harvard Prison Legal Assistance Project, the Harvard Defenders, and the Criminal Justice Institute. During law school, Kendri interned at the firm’s Juneau office in 2010. She also interned at the Southern Center for Human Rights in Atlanta, Georgia and Equal Justice Initiative in Montgomery, Alabama. Prior to law school, Ms. Cesar worked as a committee aide for Senator Donald Olson of the Alaska State Legislature. She received her B.A. from Dartmouth College in 2008, majoring in environmental studies and minoring in Arabic language.